If you’ve been injured at work you need relief. You need relief from the pain and inconvenience caused by your injury. You need relief from the stress of wondering how you are going to pay for your medical care. Most importantly, you need relief from the constant worries about how you are going to take care of yourself and your loved ones while you recover. The relief you need lies in California’s workers’ compensation laws. These laws are designed to provide you, the injured worker, with the benefits you need to obtain and pay for competent medical care and to provide you the means to support yourself and your loved ones during your recovery. Every employer in the State of California, including yours, is required to provide workers’ compensation benefits to their employees. They do this by paying into the State’s workers’ compensation insurance fund or they obtain private insurance for the same purpose. When a worker like you is injured while on-the-job, the insurance company pays for medical treatment, lost wages and in certain cases, payments for permanent disability, vocational rehabilitation and even death benefits to survivors should the injury prove fatal. If your employer has not taken the necessary steps to provide you with workers’ compensation benefits, you will still be provided with protection. In cases where the employer has not obtained workers’ compensation insurance California’s Uninsured Employer’s Trust Benefit Fund will act as your employer’s workers’ compensation insurer. The Fund will then recover what it has paid out to you from your employer. 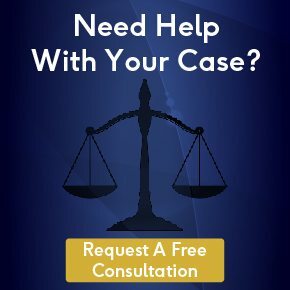 Normally, the process of recovering damages for injuries caused by someone else is a lengthy and complicated process. First, you have to prove by a preponderance of the evidence (51%) that the person who injured you had a duty to be careful. You next have to prove that the person who injured you breached that duty. Then you have to show that the breach of duty caused your injury and finally you need to prove that the injury caused you to incur specific and significant monetary losses. Under California’s workers’ compensation laws, all you have to show is that you are an employee who was injured while you were working. That’s it. There is no burden of proof. There is no requirement to show a breach of duty and causation. If you were employed by a California business, sustained an injury and that injury happened while you were on-the-job, then you are eligible for workers’ compensation benefits. HOW DO I OBTAIN WORKERS' COMPENSATION BENEFITS FOR MY INJURIES? If you are injured in a workplace accident, your primary responsibility is to yourself. If you know you’ve been hurt, make sure that you obtain medical treatment for your injuries at the earliest possible opportunity. When obtaining treatment make sure that you inform your doctor that your injury occurred at work. Any delay on your part in seeing a doctor could compromise the validity of your workers’ compensation claim. After you’ve been injured and you’ve sought treatment, your next step is to inform your employer of the fact that you were injured while on-the-job. Under the law, your employer must provide you with a workers’ compensation claim form within 24 hours of being notified of your injuries. This form is the official start of your workers’ compensation claim. It asks for some basic information about who you are, how you can be contacted and the nature of your injuries. Take the time to fill out the form completely and to the best of your abilities. Pay particular attention to the section that asks you to describe your injuries. Make sure that you list each and every body part that has been injured, describing in detail the injuries to each. Once you’ve filled out the claim form, promptly return it to your employer, either in person or by certified mail. Your employer will, in turn, fill out some additional information on the form. Once your employer receives your completed claim form, they must turn the fully completed form over to their workers’ compensation insurer within 24 hours. They should also return a carbon copy of the completed form back to you. After you’ve filled out your claim form and returned it to your employer, you will also need to fill out an application for adjudication of claim in order to complete your official filing of your workers’ compensation claim. This form will again ask for your personal information, your employer’s name and address, the contact information for your employer’s workers’ compensation insurance carrier as well as detailed information on the nature of your injuries, your wages, the name of your doctor and the cost of your medical treatment. The form should be filled out and personally turned into the district office of the Workers’ Compensation Appeals Board nearest to you. Finally, once you have completed both the claim form and the adjudication of claim form you’ll have to complete a declaration pursuant to Labor Code 4906 (g). This declaration is simply a sworn statement that you haven’t asked a doctor or medical facility to submit any fraudulent records regarding your condition to the Division of Workers’ Compensation. WHAT HAPPENS AFTER I FILE MY WORKERS COMPENSATION CLAIM? Your employer’s workers’ compensation insurer must respond to your claim within in 14 days of notification. This response can take one of three forms. The insurer can begin making temporary disability benefits to you. Alternatively, they can deny your claim. Finally, they can postpone making a decision on your claim pending investigation. If they decide to investigate your claim, they must make decision on whether to accept or deny your claim within 90 days of the receipt of your claim form. In the meantime they are obligated to authorize treatment for your injuries, up to a $10,000 maximum. California’s workers’ compensation laws can seem complex, especially to someone, like you, who is already dealing with the physical, emotional and financial trauma that a workplace injury can bring. The attorneys at the law office of Fraulob-Brown have years of experience dealing with the complexity of workers’ compensation law. Let then use this experience to steer your workers’ compensation claim to a successful conclusion, one that allows you to obtain every benefit that you are entitled to under the law.